2002 W203 M112K with insane amount of mods "updates on last page!" what kind of grille is on the left benz? If you know anything about AC, please give me a hand here. I just need a quick answer to get me going on the next step. It was boiling hot here last summer in south louisiana and I'd really like to get this solved. besides bore size, it seems like 18x8 et34 would work, would you agree? holla, may be we can grab a bite at a cafe. hey man I am doing my best to search since I know its there but honestly I am having no luck finding it. I dont want to start a new thread. I would like to know the offset for my car. 2006 C230 non kompressor factory staggered setup. I am trying to buy wheels that are +35mm and +38mm in the rear.. would they fit? whats the actuall offset for my car? thanks a million! Hi Frank, how are you! Have a question in regards with the wheel which you are using on your C32. Are they LM154 & 155? 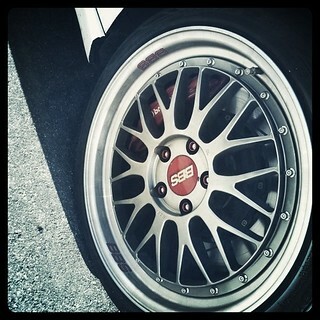 If they are, for the front 19x8.5 ET32, do you have to use any spacer? I just took my set out of the storage the other day. And when i wanted to fit them recently, i found that it does not clear my C32 Caliper at the front. My car is a 2005 C240, and the brakes are a simple plug and play. But could there be some difference in the hub maybe? Let me know. Your help will be much appreciated.